Taminophile: Who would not weep? I've had four straight weekends of opera going. 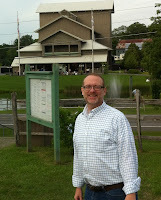 I've seen two wonderful shows at Caramoor, and two wonderful shows at Glimmerglass. This weekend I have the delight of seeing two more shows at Glimmerglass. I don't know what I'll do for entertainment next weekend! 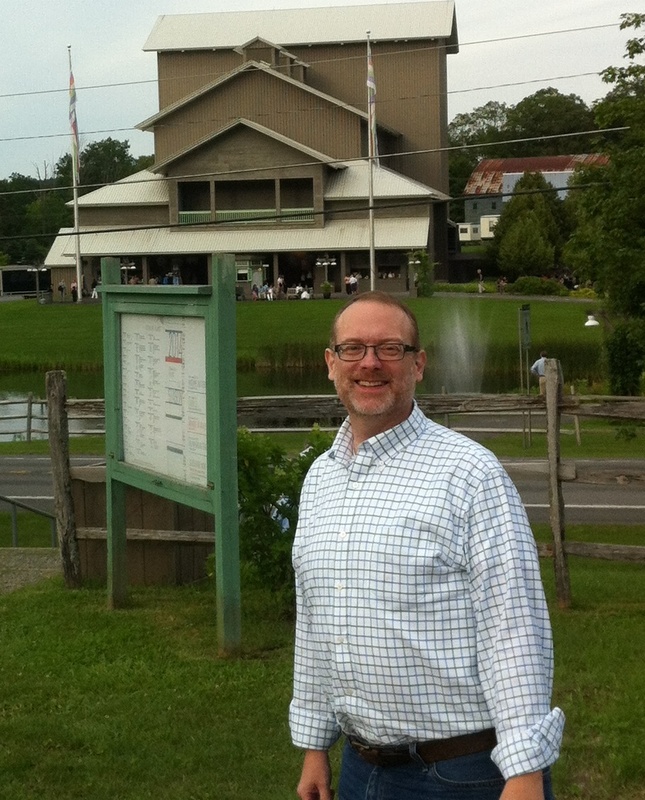 On Thursday night, July 25, I came to Glimmerglass to see their new double bill Passions, which is based on the Stabat Mater (1736) of Mr. Pergolesi (a composer I never thought I'd be writing about here!) 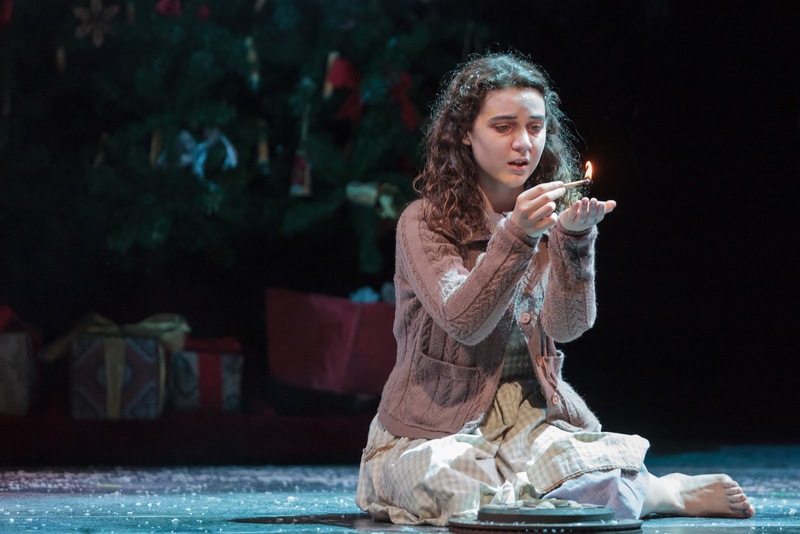 and Mr. David Lang's Pulitzer Prize-winning work The Little Match Girl Passion (2007). Mr. Lang also added a shorter choral work as a companion piece for this show, called When We Were Children. You will notice these are not operatic works. They are dramatic or performance pieces created from non-operatic vocal and choral works. And I'd call them very successful. Stabat Mater is an ancient Latin hymn telling the story of Mary at the foot of the Cross. Mr. Pergolesi's Stabat Mater was performed by soprano Nadine Sierra and countertenor Anthony Roth Costanzo. The pair gave a beautifully expressive, vocally stunning performance of the work, under the expert musical direction of conductor Speranza Scappucci with the Glimmerglass Festival Orchestra. The voices of Ms. Sierra and Mr. Costanzo blended exquisitely, making Mr. Pergolesi's extensive use of parallel vocal lines and suspensions a delight. The concert work became a dance piece choreographed by Jessica Lang and danced by the two singers and a gaggle of Glimmerglass Young Artists. While I don't know the language of dance as I do opera, I think I can discern beautifully conceived and executed dance movements, performed by enthusiastic, expressive, sensitive young men and women. That is what I was privileged to see as I heard the heavenly and heart-rending strains of Pergolesi. 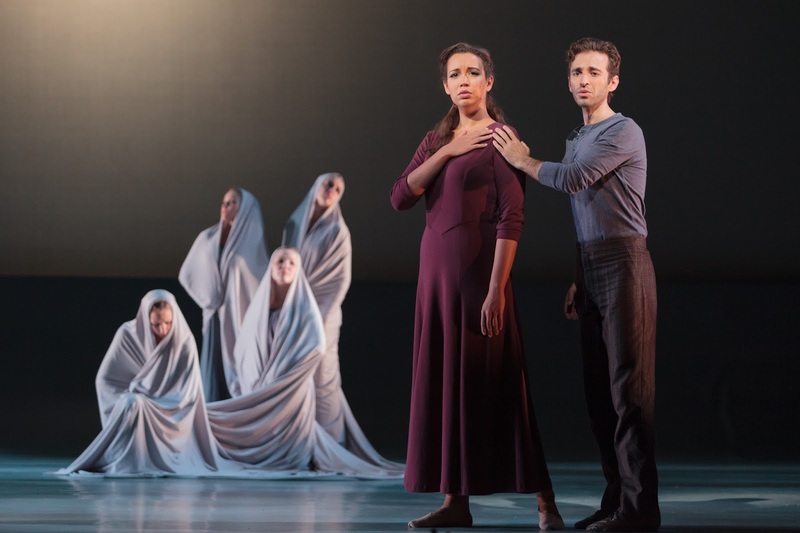 The choreography, which included the two vocal soloists as well as the eight other dancers, was based on the text of the Stabat Mater. It was no surprise to see so many audience members visibly moved at the end, nor was it to hear and see the enthusiastic applause the entire ensemble earned. The second half of the program was Mr. Lang's Little Match Girl Passion and its companion piece, When We Were Children. I am not very well qualified to discuss new music. I do call myself a bel canto bear in a verismo world, you'll recall. But I did like Mr. Lang's harmonic language, and his interesting rhythms and meters that appeared to be unmeasured, various lines contrasting each other metrically. I was less enamored with his use of text, particularly the at times percussive effect of echoing words and word fragments, almost as if projecting a stammer. The ensemble sang the narrative of the match girl while the children's chorus sang commentary, much like a Passion by Mr. Bach. One of the most affecting moments for me is when the libretto (by Mr. Lang, after sources including Hans Christian Anderson and St. Matthew) suddenly switches over to quote from St. Matthew, having the girl herself sing "Eli! Eli! (My God! My God!)" When We Were Children is based on the text by St. Paul, "When I was a child, I spake as a child, I understood as a child, I thought: but when I became a man, I put away childish things." I can not praise highly enough the performing ensemble under the stage direction of Francesca Zambello. The Glimmerglass Festival Children's Chorus, led by former Young Artist and current music teacher Tracy Allen, sang Mr. Lang's music with gusto and charm, and clearly enjoyed what they were doing. The quartet of Julia Mintzer, James Michael Porter, Lisa Williamson, and Christian Zaremba sang what appeared to be very difficult music while also playing percussion instruments, including a bass drum and a marimba. There was no other instrumental accompaniment. Young Victoria Munro sang and acted the title role quite convincingly. All this was held together quite well by conductor David Moody. I should also mention the beautiful costumes of Beth Goldenberg for both shows. Sets by Marjorie Bradley Kellogg and lighting by Mark McCullough were also quite well done. All in all, I'd say the Stabat Mater elicited more emotion from me, while The Little Match Girl Passion elicited more analytical thought. I would also say to see one of the remaining performances of Passions. I would like to see it again myself. One more thing. In my trips to the Cooperstown area I've had good luck and bad luck in terms of places I stay. I have finally struck gold with the Overlook Mansion B&B. Please click the link and check them out, and give them some business!